It’s 2009. My book is almost ready to go to the printer. I try to get in touch with the authors of the picture books I am recommending to see if they would like to read an advance copy and give me an endorsement. One of the books is Mommy Doesn’t Know My Name. 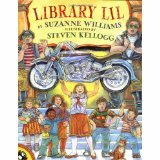 The author is Suzanne Williams. She has an awesome website. I go there. I connect with her. She says…YES! Fast forward to this year! I thought, wouldn’t it be great to shine the Will Write for Cookies spotlight on this wonderful author? So I contact Suzanne and she says…YES! That’s right…she’s a pretty special woman! 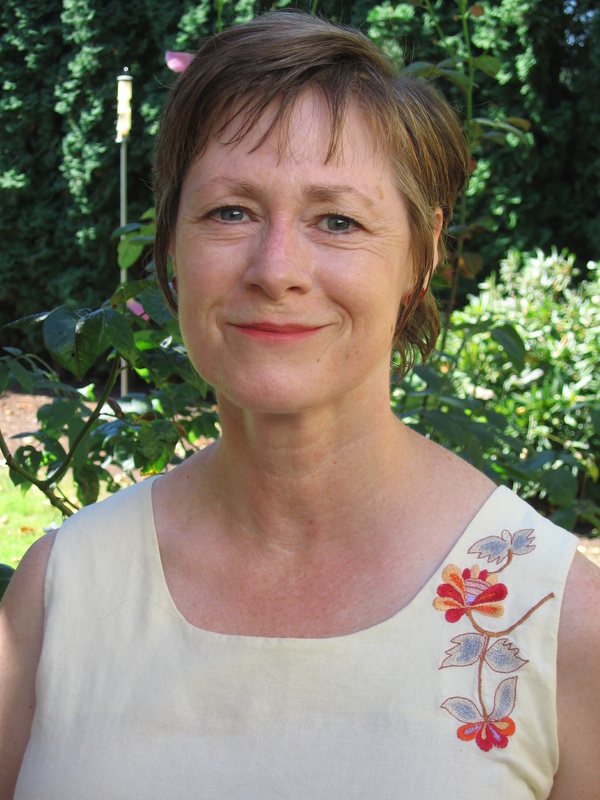 Suzanne Williams lives in Renton, WA and is the author of nearly 60 books for children, including the award-winning picture book Library Lil (illustrated by Steven Kellogg). 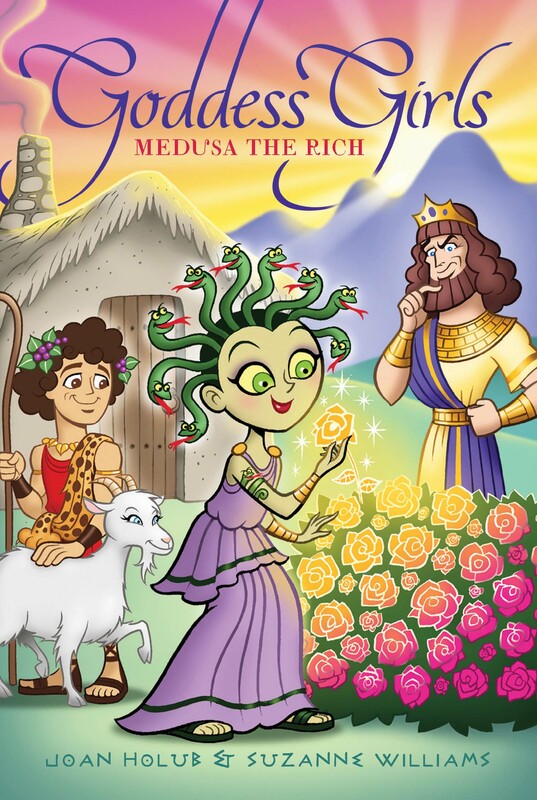 Together, she and Joan Holub write the Goddess Girls, Heroes in Training, and Grimmtastic Girls series. I was one of those children, as writers often are, who read constantly as a child. So picking a favorite is difficult. That said, I remember with special fondness, the I Can Read book, Little Bear by Elsa Minarik (illustrated by Maurice Sendak), a gift from my grandparents when I was seven years old. Later favorite reads included Strawberry Girl by Lois Lenski, the Pippi Longstocking books by Astrid Lindgren. P.L. Travers’s Mary Poppins books, and series like Nancy Drew, The Bobbsey Twins, and Trixie Belden. I was definitely more of a fiction reader than a non-fiction reader, so it’s no surprise that’s what I’ve chosen to write. It would’ve been nice to have known about the existence of the SCBWI (Society of Children’s Book Writers and Illustrators, www.scbwi.org ) from the start. They’re the organization that almost all children’s book writers and illustrators belong too. They have great conferences, provide lots of useful nuts and bolt writing info, and the opportunity to network with others in the children’s writing world. I have formed mutually supportive friendships with many wonderful writers and illustrators through my local Western Washington SCBWI chapter. In fact that’s where I first met my Goddess Girls, Grimmtastic Girls, and Heroes and Training co-author Joan Holub. 95% of the time I write in my home office, a converted bedroom that’s right across the hall from my actual bedroom. (Talk about a short commute!) I write on a desktop computer on a desk that can be raised or lowered. That way I can sit or stand to write. I use a laptop computer for travel (synced to my other computer), and for use on beautiful, warm sunny days like today when I want to sit outside and write. Funny you should mention muses. The book I’m currently drafting, Book #20 in Joan Holub’s and my Goddess Girls series will be called Calliope the Muse. (Not out till August 2016.) Calliope is one of the nine famous sisters, the muse of epic poetry, said to have inspired Homer’s Iliad and The Odyssey. My muse needs structure. For me, inspiration comes through regular hours at my desk. Typically I work anywhere from four to six hours per day (not counting time spent on things like email, responding to fan mail, and interviews like this one). I like to exercise at the gym most mornings, so I often write for only an hour before lunch. But when I return to my office afterward, I write till dinnertime. I try to keep my evenings and weekends work-free, but I’m not always successful in doing that. I was an elementary school librarian for many years before I started to write. I fell in love with children’s books then, and I’ve never considered writing anything else. Writing for children is very rewarding. I treasure the many lovely letters and emails I get from readers. And when a parent writes to tell me that a book of mine has inspired a love of reading in their (former) non-reader, that’s especially wonderful. I also enjoy meeting and talking with students and teachers during school visits and virtual (skype) visits. If you missed the review I did of Suzanne’s newest book, go here. Thank you, thank you, thank you! Suzanne. This has been an absolute pleasure! And as if the interview wasn’t sweet enough, you’ve shared a cookie recipe that’s sure to put a smile on everyone’s faces and a couple more pounds on the scale. This recipe is a favorite from my childhood. In Oregon, where I grew up, hazelnuts were called filberts. Fun fact: Oregon produces 99% of the hazelnuts/filberts grown in the U.S. In mixer combine all ingredients except nuts. Blend well at low speed. Stir in nuts. Mix thoroughly. Drop rounded teaspoon size portions onto a lightly greased cookie sheet. Flatten each portion for a crisper cookie. Bake 350 for 12 to 15 minutes until golden brown. Have a great weekend, everyone! Tomorrow is Father’s Day and the first day of Summer! Love to all those great dads out there! This entry was posted in Author/illustrator interviews, Suzanne Williams, Uncategorized, Will Write for Cookies and tagged Kristen Fulton WOW NonFicPicWeek, WOW Retreat Scholarship by viviankirkfield. Bookmark the permalink. Great interview, and this is a series I am curious about. Skipping over to read your review too! Thanks for sharing with #KidLitBlogHop! By the way…congrats again on your picture book which debuts soon…There Was An Old Dragon Who Swallowed a Knight…just love it! Enjoyed your review yesterday and now this fabulous interview about Suzanne’s journey. Much good advice and wisdom. I love SCBWI. You two writers have a wonderful and supportive connection, Vivian. 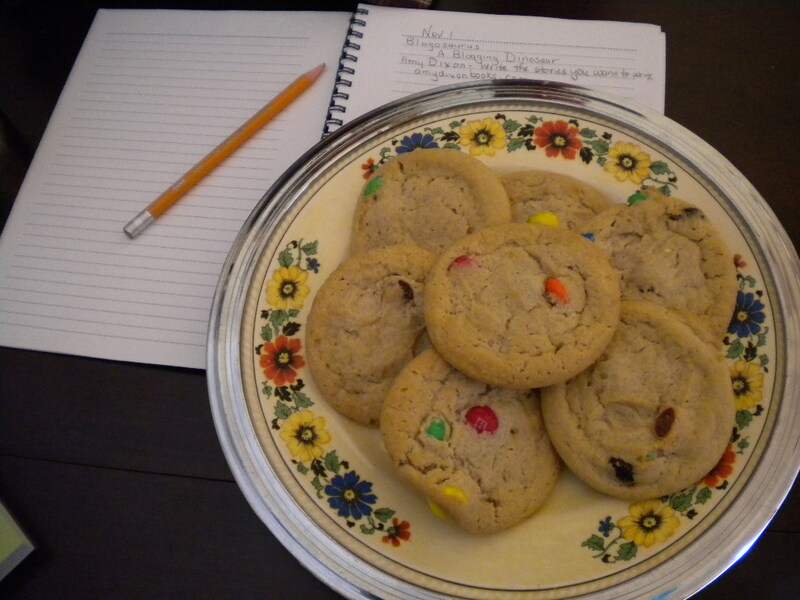 And the cookie recipe is a winner, too! Thanks for sharing this wonderful interview. I have worked with Joan Holub several times so it was interesting to learn about her writing partner, Suzanne Williams. I am also dying to have a hazelnut crunch cookie..yum! Oh, I’m late but didn’t want to miss this. Thank you Suzanne. Love the work hours and exercise, as part of the schedule.